Hanoi, 16th March 2018, StoxPlus signed an agreement to provide FiinPro® Platform for Vietnam Investment Securities Company (IVS) of which capital is mainly contributed by 001 Zhejiang Group Company - one of the top 500 leading enterprises in China. 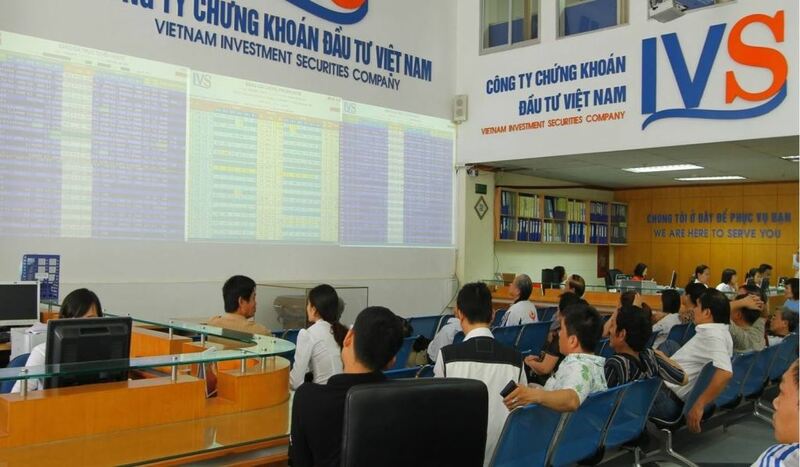 Vietnam Investment Securities Company (IVS), formerly Vietnam Securities Joint Stock Company (VNS), is a Vietnam-based provider of investment services established on 28 August 2007. It offers securities brokerage services, custody services, underwriting services and investment advisory services. The Company is also involved in securities dealing, as well as the provision of financial consulting services for corporate clients, such as listings, equity offerings, mergers and acquisitions, financial restructurings and equitizations. Additionally, in November 2014, IVS listed on the Hanoi Stock Exchange signed a strategic cooperation agreement with Zhejiang 001 Group Company Ltd., - one of the Top 500 Largest Enterprises of China. Along with Zhejiang 001, many Chinese investors have found golden investment opportunities in Vietnam. According to the data from the Foreign Investment Agency (Ministry of Planning and Investment), in 2017, China’s committed investment capital ranked 2nd among countries and territories investing in Vietnam with 300 completed M&A transactions. It is believed that a rush of foreign investment into Vietnamese financial and stock companies helps many of them ward off liquidity crisis and corporate bankruptcies. Not only IVS, but also some of FiinPro®’s customers have received capital investment from China such as Hoa Trung Securities JSC (HZS), Phu Hung Securities JSC (PHS), and Vietnam Construction Securities JSC (VNCS). FiinPro® is proud to serve many foreign and local financial institutions operating business in Vietnam that contributes to promoting the country’s foreign investment and trade flows. Regarding IVS’s mission, it offers information and consulting services helping its customers make investment decisions. In order to do that, a reliable source of financial information like FiinPro® is vital. IVS’s Research & Investment Team, who are direct users of FiinPro®, uses the platform to get real-time updates on market/trading data, corporate database of not only listed companies but more than 3000 public companies with an aggregated revenue of approximately 70% of Vietnam’s GDP, industry data including monetary market and macro data in Vietnam. Moreover, FiinPro® also provides many useful analytic tools such as Market Live, Investment Strategy Screening, Stock Screening, Market Statistics, Factor Returns, Data Explorer that help them work faster and make smarter decisions. Subsequently, FiinPro® has become an indispensable tool for the analysts and investment consultants of IVS when collecting, filtering and processing data. Click here for more information on how FiinPro® helps Vietnam Investment Securities Company (IVS) boost their research activities.